Traveling forty thousand miles and inspiring love and despair in equal measure, Lt. Minter Dial’s lost Annapolis ring altered the lives of many—not just those who gazed upon its blue stone. 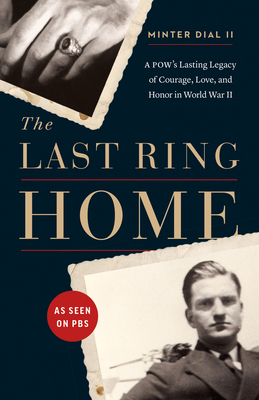 The subject of an award-winning documentary film that was broadcast nationally on PBS and History Channel (ANZ), The Last Ring Home is a spellbinding account of one man’s obsession with a family mystery—and the product of decades of research and inquiries. The book relates author Minter Dial’s pursuit of the true story of his namesake, his late grandfather Lt. Minter Dial, USN, a celebrated war hero whose suffering and trauma nearly buried his memory forever. Minter Dial is a professional speaker, history fanatic, and president and founder of Digitalproof Consultancy, a strategic firm providing digital and brand consulting to clients including Kering Group, Samsung, Google and L’Ore´al. He's also author of Futureproof, How to get your business ready for the next disruption (Pearson-FT Press Sep 2017). Alumni of Eton College, he received his BA in Trilingual Literature from Yale University and earned his MBA at INSEAD (Fontainebleau).